best al fresco IN THE CITY! today 's work had me out to photograph for a feature in a chicago publication. the scene was my very favorite eatery in Chicago, during the summertime, outside dinning and with delicious fare to share!! 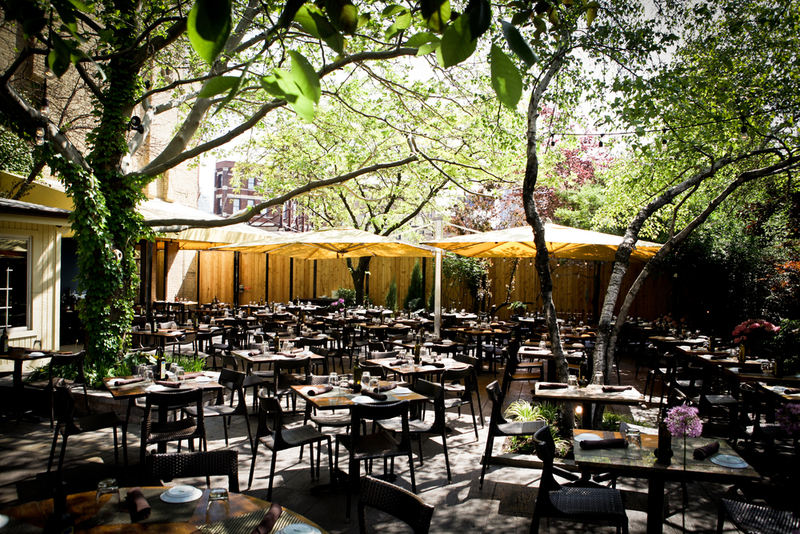 piccolo songo has hands down the sweetest, hidden gem of a patio nestled right off the busy intersect of grand, halstead and milwaukee in the Italian neighborhood of west town. today's gorgeous spring day in the city certainly inspired the beauty of this space. then, as an added perk, I was invited to dine just after my shoot wrapped and enjoyed every second of this lunch!! dearest piccolo songo, I will absolutely take you up on a return visit this summer to soak in more of the beauty of taste, smell and sight your gorgeous patio offers up. salute! !